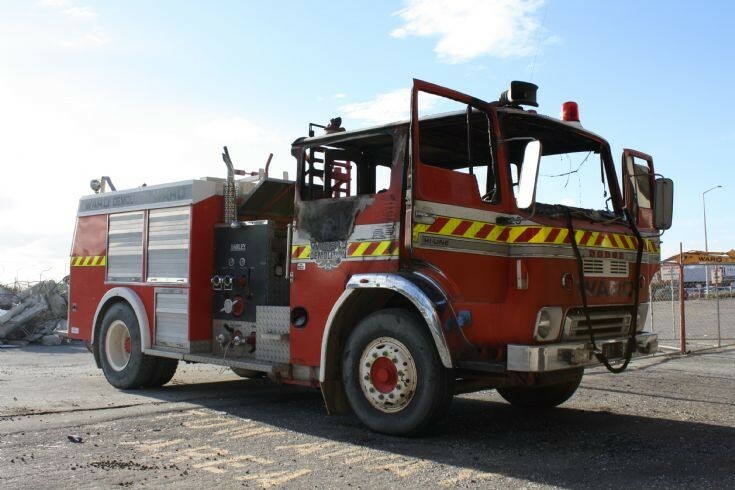 This 1979 RG15 appliance was built by Mills Tui for the New Zealand Fire Service. After serving various volunteer brigades it transferred to rural fire. Subsequently sold to a demolition contractor working on various projects around Christchurch it was unfortunately attacked by vandals and set on fire in 2012 and disposed of for scrap. What a shame for a fire engine to end its days like this after giving good service to local communities. Added by Paul Warnock on 07 October 2012. Added by Aaron Gosney on 09 June 2014.